Russian gas supplies to Ukraine will resume after payment of the first tranche of Ukraine’s $1.45 billion debt to Russia for previous deliveries, Ukrainian Energy Minister Yuriy Prodan said at a press conference in Brussels on Thursday, according to an UNIAN correspondent. "We will make a prepayment, [and then] Naftogaz Ukrainy and Gazprom will work together closely, according to the agreement," he said. The Ukrainian Minister said he was confident consumers would receive reliable gas supplies. As UNIAN reported earlier, the negotiations on the gas price between Ukrainian Naftogaz and Russian Gazprom companies have been dragging on since May 2014. 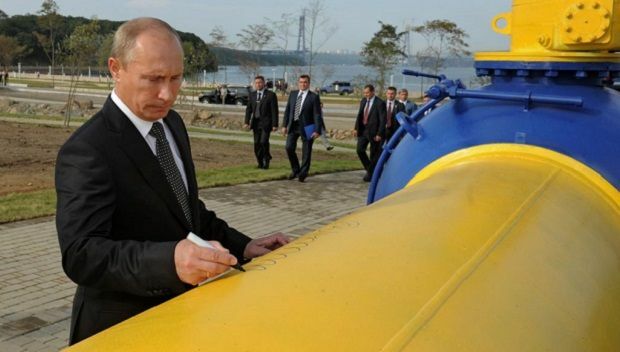 On June 16, the Russian gas company transferred Ukraine to an advance payment regime for Russian gas supplies and set the supply of gas to Ukrainian consumers to zero, supplying only gas for transit through Ukraine’s pipelines to European consumers. Several documents were signed on October 30 in Brussels to resolve the gas dispute between Moscow and Kyiv.